Sale, Bonhams Knightsbridge, 1st October 2014, lot 134. Sale, Sotheby’s London, 18th September 2018, lot 87, where purchased. Worcester Art Museum, War Paintings and Drawings by British Artists, 1919, cat. no.8, with Ministry of Information tour to U.S.A. 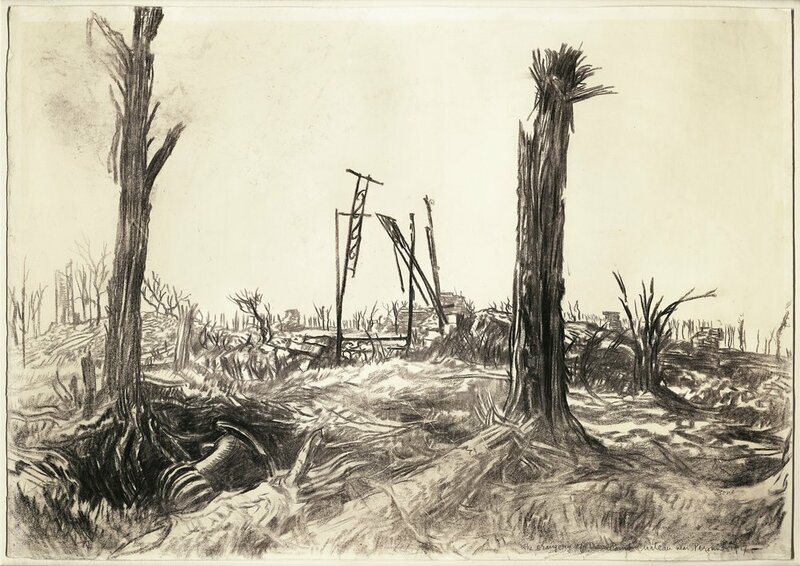 The Western Front: Drawings by Muirhead Bone, published by the War Office, London, 1917, vol.2, part VII, cat. no.25, illustrated. Every effort has been made to comply with current copyright laws for the permission to reproduce images. We thank those that have assisted in the process and welcome input on any omitted acknowledgements.